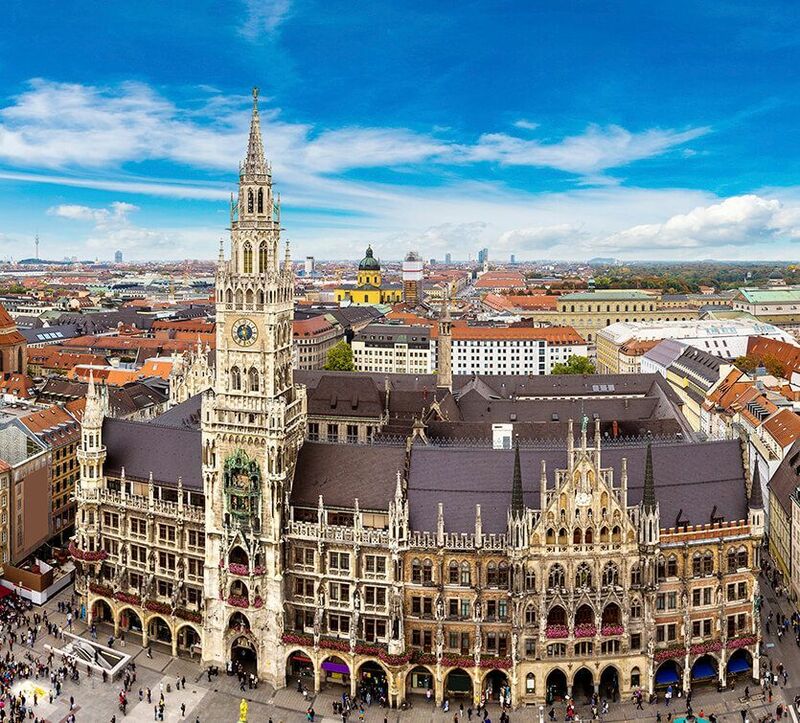 Welcome to Munich! 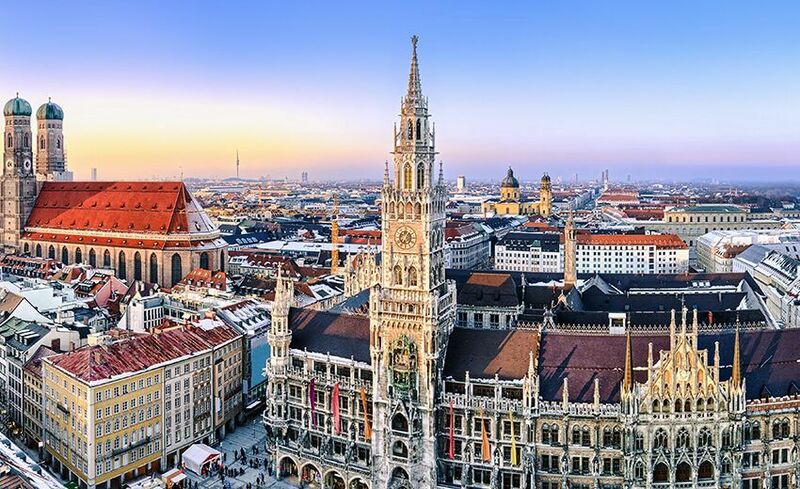 Arrive at the Munich International Airport in the Afternoon with a quick meet and greet with your tour manager and fellow travelers followed by an expert guided tour of Munich. 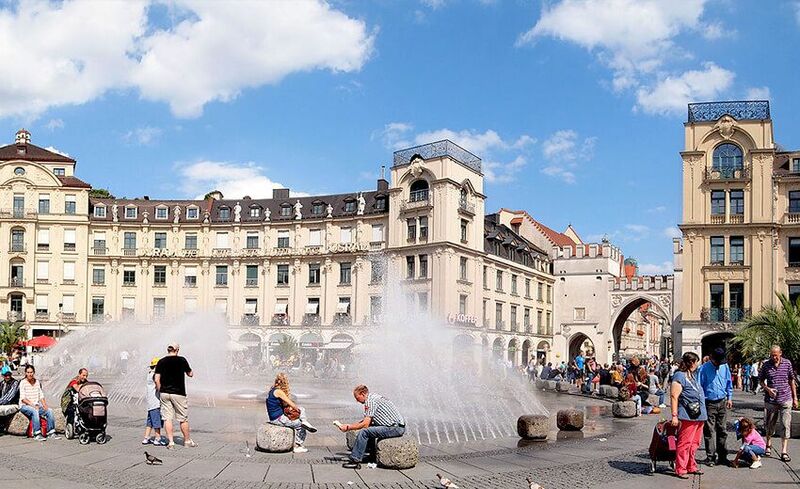 Explore renowned spots of the city such as Marienplatz, the central square located in the heart of the old town. 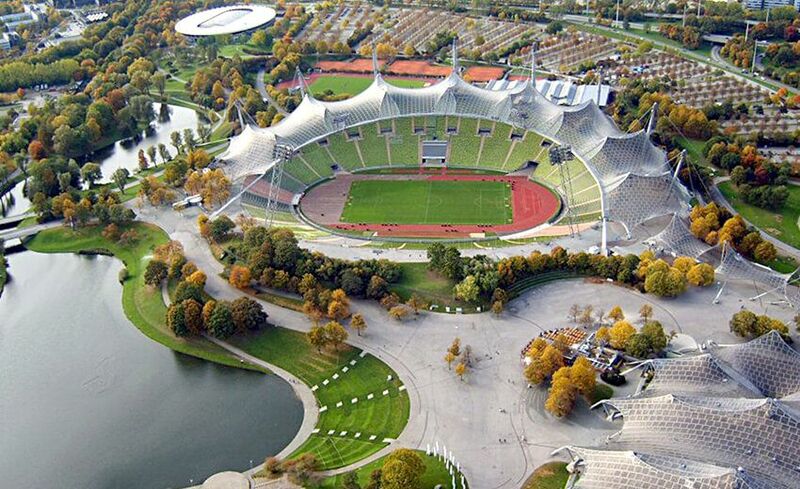 Olympia Park, Karlsplatz, Olympic Stadium, BMW Welt, Nymphenburg Palace and Allianz Arena. Take it easy this evening and proceed to the hotel for check-in. Overnight in Munich. Good morning Munich! Start the day well with a breakfast buffet at your hotel and get ready to go on a Tour where you will explore palaces & castles today! After this, proceed to the Linderhorf Palace (Schloss in German), the smallest of the three palaces built by King Ludwig II. Many features inside this Palace resemble the majestic Versailles (Paris), especially the staircases and the room layout. Admire the mirrors and chandelier-filled interiors of this palace before proceeding to your next destination. Neuschwanstein Castle. This beautiful castle was the last one built by King Ludwig - but unfortunately he didn’t live to see its completion. This castle sits on a hill overlooking the town of Fussen and is one of the most popular castles in Germany. Often called the Castle of Sleeping Beauty. Neuschwanstein overlooks another castle, Hohenschwangau , the childhood home of King Ludwig II and is the main model for the Disney Icon for Sleeping Beauty Castle. Later, explore the delightful town of Garmisch-Partenkirchen, the venue of the winter Olympics in 1936. 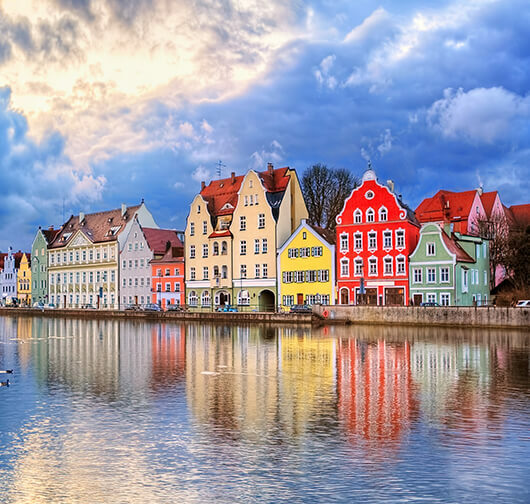 Walking through this cobble-street town gives you the real Bavarian feel. Just a little history - before 1936, Garmisch and Partenkirschen were actually two separate towns! Overnight in Munich. A ready breakfast buffet awaits this morning. Next, depart to Salzburg via coach. 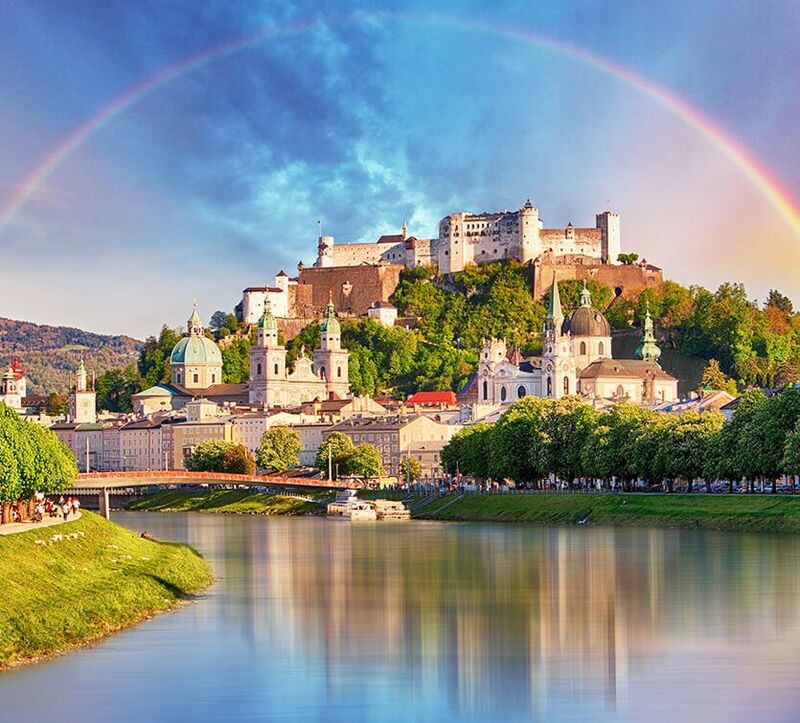 Distance covered: 145KM Upon arrival to the dreamlike city of Salzburg set out on a tour of the city guided by an expert. Admire the city s sights with a driving & walking tour of Salzburg old town a historic center of the city, go up the Salzburg Fortress to experience panoramic view of the city, visit Mirabel Palace and Gardens a UNSCO world heritage site built on 17th-century, the Mozarteum School of Music, Marionette Theatre, County Theatre. 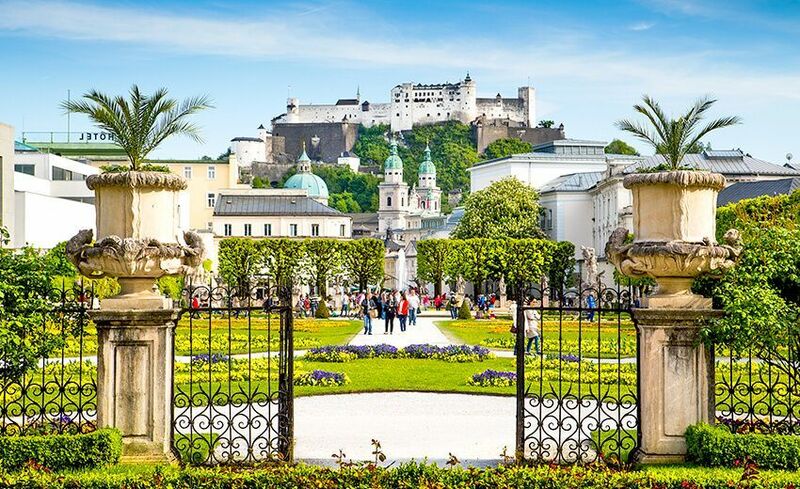 Continue on your visit to Hellbrunn Castle, Salzburg Cathedral, St. Peter Abbey, Old Market Square, City hall and Mozart s Birthplace. 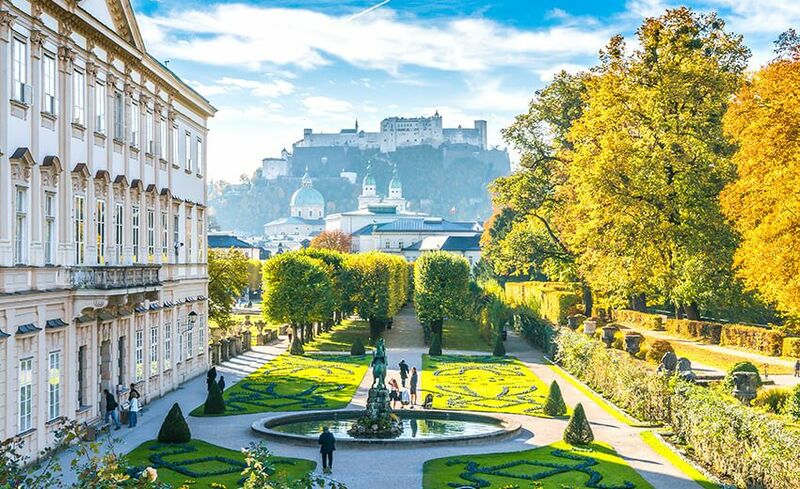 Free time in the evening to discover the delights of Salzburg yourself, go on a shopping spree or visit a museum. Overnight in Salzburg. Wake up to a hot breakfast buffet. 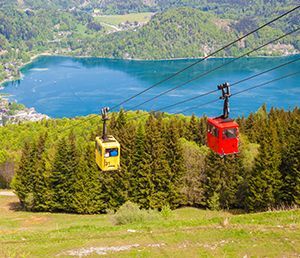 Today you may join us for the optional tour to the scenic Lake Region in Austria, Wolfgangsee offering postcard perfect views of the lake and the mountains setting. Ride the cable car to Zwolferhorn Mountain from Zwolferhorn Station enjoying the eye catching turquoise blue water below. Upon arrival to the top, take advantage of the free time here and capture some stunning shots as you view the lakes, lush greenery and ponder on how beautiful mother nature really is. Then continue on a delightful 40-minutes boat cruise from St. Gligen to Schafbergbahn. A packed lunch is served after which head down to Mondsee Lake. Keeping in line with the gorgeous vistas today, Mondsee lake is of the best. 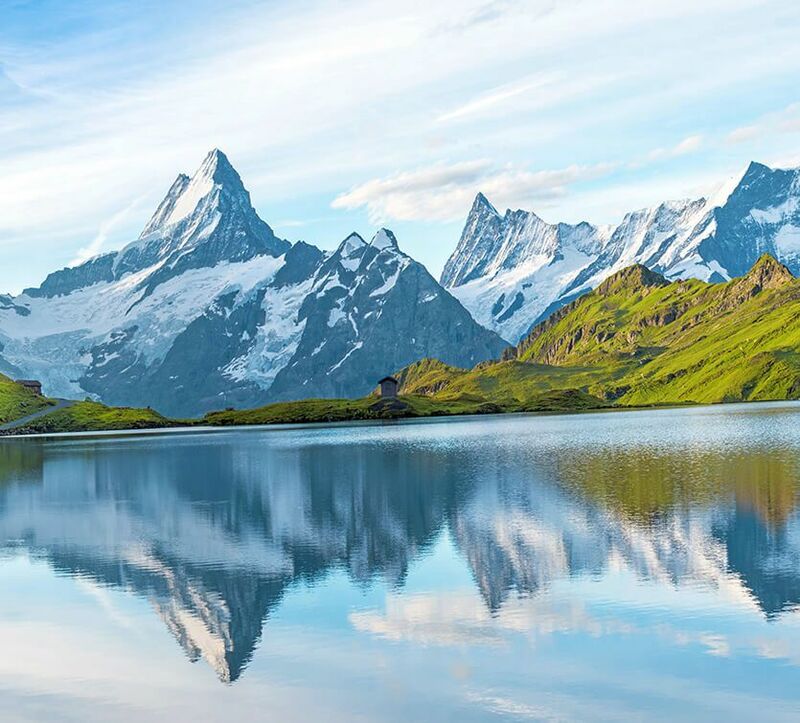 Resembling an experience of a second Switzerland, surrounded by striking mountains and a popular scene for several activities such as kayaking, canoeing, rafting etc. Free time here to partake in such activities on your own. Evening return to Salzburg. Overnight in Salzburg. 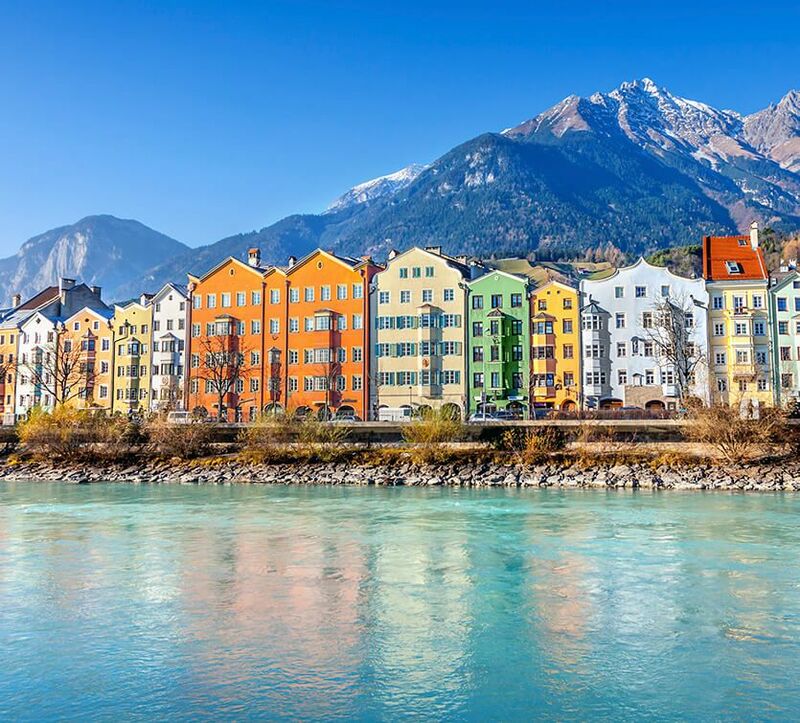 Dig in to a hot breakfast buffet followed by departure to Innsbruck with an enroute stop at Swarovski Crystal World. 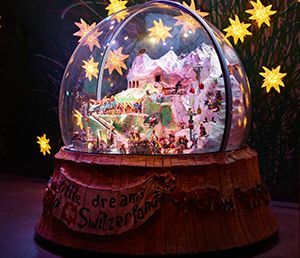 Distance covered: 164KM Once there uncover the Crystal Cloud; the main highlight is the 800,000 hand-mounted crystals. Spend the time here exploring a mix of art and culture, entertainment, shopping and various attractions for children, teenagers and adults alike. Next proceed for lunch and then to Innsbruck followed by city orientation tour. Pass by the old town, Golden Roof, St. Jacobs Cathedral, Hofburg Palace and Hofkirche before reaching the hotel to check-in. The evening is free for leisure activities. 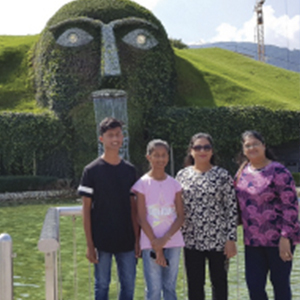 Overnight in Innsbruck..
Day 6 Innsbruck – Lucerne City (Drive) - Lake Lucerne Cruise. Start today with a hot breakfast buffet. 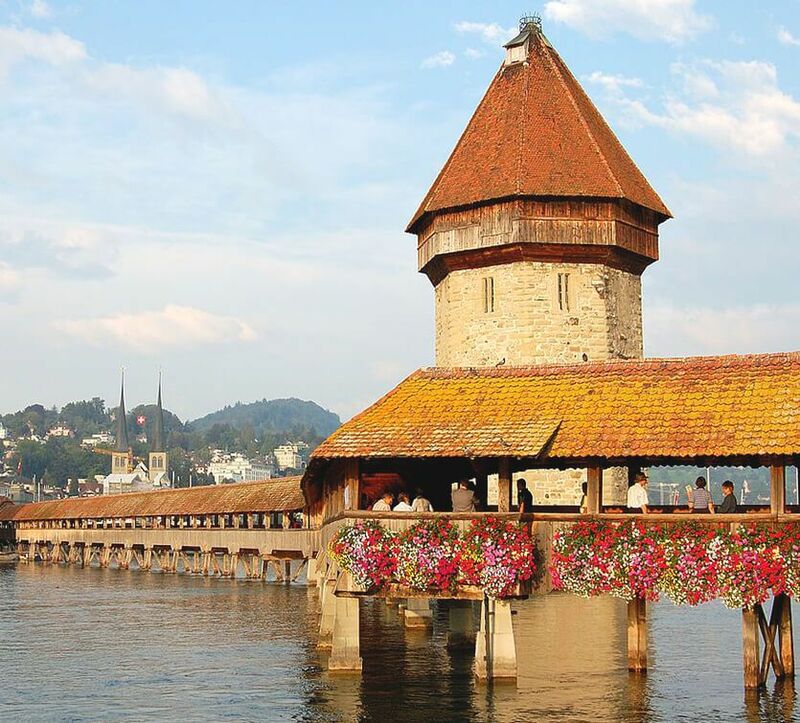 Checkout form the hotel and make your way to Lucerne, a beautiful city in the center of Switzerland with the Swiss Alps as its backdrop. Enjoy a relaxing cruise followed by free time for shopping. Continue on to the city of Zurich, arrive at the hotel and check-in. Overnight in Switzerland. Begin your day with a Breakfast buffet. You may join us today for the optional Mt. Jungfraujoch with packed Lunch. This is definitely an experience like no other. You may have heard of climbing mountains but it is rare that you get to ride a train cutting through the mountains to a height of 3454M with a bird s eye view of the stunning scenery. Upon your arrival to the Europe s highest elevated railway station, tour the Alpine Sensation; a 250M walkway covered with audio visual display taking you through the history of Jungfrau, the story of Adolf Guyer Zeller s idea and how it was put into action. The walkway connects you to the Sphinx Observatory 3571M high for a 360 degrees panoramic view. You may go onto the terrace or view it from the comfort of the indoor to view the ice streams, mountains trying to peek out from their snow blankets and clouds beneath your feet. Moving onto the Ice Palace where you can admire numerous intricately designed ice sculptures. Next, walk on to the Snow Fun Park and jump right into the fun activities of snow boarding, building a snowman or a good old snow ball fight which will be followed by lunch OR you have the day at your leisure. 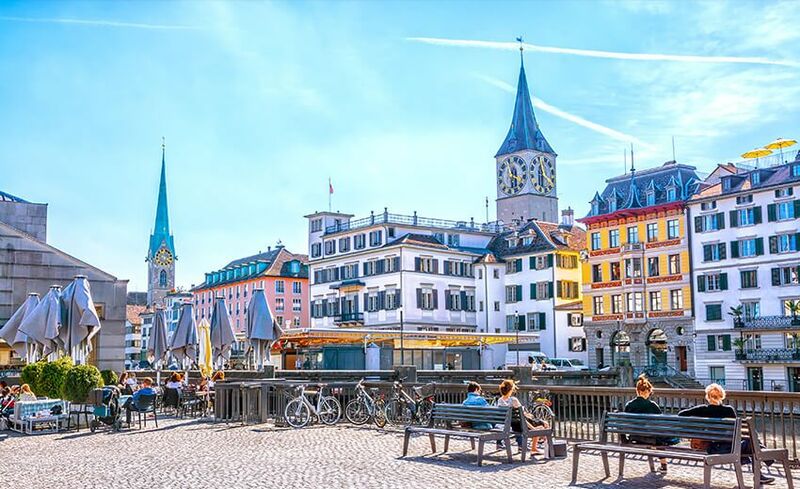 In the evening, head to Interlaken City, as the name suggests it is a city located between 2 lakes for some free time on your own. Overnight in Switzerland. Start your day with breakfast after which come along with us on the tour to Mt. Titlis with Ice Flyer.On your journey to Mt. 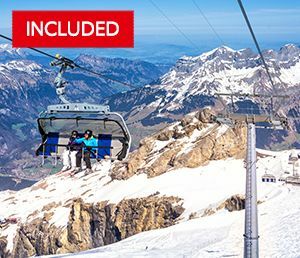 Titlis experience the worlds first 360 degrees revolving cable car from which you are able to gaze at the irreproachable snow-capped mountains. As you reach the summit (3020M above sea level) you have many activities to keep you occupied. Proceed to the underground ice caves filled with millions of ice crystals that shimmer under soft turquoise light before entering the viewing platform for breathtaking panoramas of the Alps. Next, awaken your inner super hero as you walk across the highest suspension bridge in Europe. The first few minutes may render you speechless but don t forget to enjoy the experience as much as possible! This is followed by the Ice Flyer; gliding from mountain to mountain on a chair lift to the Glacier Park for a super time in the snow. Overnight in Switzerland. AUSTRIA - Guided walking tour of salzburg in the old town , the fortress , Mirabel Palace & Gardens ( UNSCO world Heritage site ) , sound of Music tour inc Mozarteum School of Music ,Photostop at Hellbrunn Castle ,Discover Mozart s Birthplace ,Swarovski Crystal World , Golden Roof ,City Orientation Tour of Innsbruck , , St. Jacob s Cathedral.